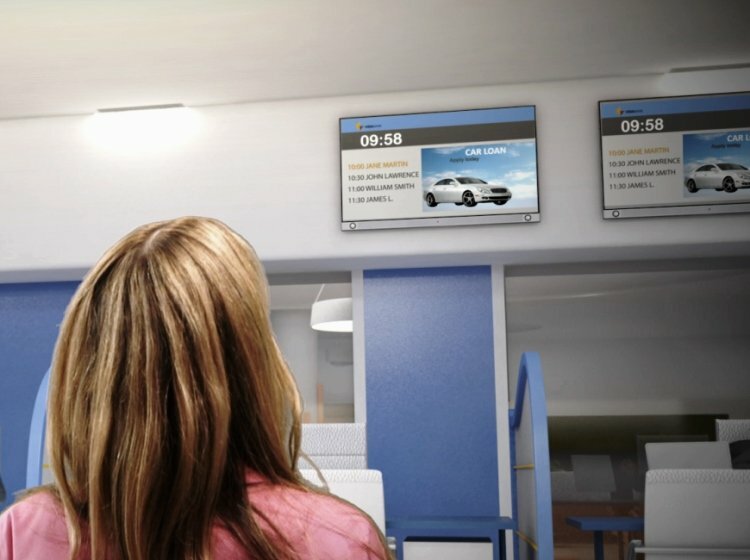 Q-nomy’s digital signage system helps you manage digital advertising and information displays. The system provides easy control over your entire network of screens, letting you decide which content plays where and when, and allowing you to monitor what every screen is showing, without leaving your office. Naturally complements Q-nomy's Queue Management System, making it easy to combine information for waiting customers with personalized advertising. We can offer a SaaS solution on our cloud, or deploy the system to your local network – it's your choice. Hardware independence – install any brand of screens, no need for proprietary "player hardware" / boxes. Easy integration with any data source. Content types supported - video and animated content, static images, information from any internal or external data source such as RSS feeds, social media feeds, news and weather services, and so forth. Customizable business logic – specify the time (dates/hours) to present specific content, the branches where specific content will be presented, the Customer Types to target with by presenting specific content (when such customers are in the branch, the conditions to present specific content (based on queue system status, manager-controlled "switches" or other imported information). Internal messaging – enter textual messages to be shown on displays. Screen control – turn screens on/off (manual or schedule), control volume, send additional commands supported by the screen hardware. Scalable to any number of branches and screens.